If you love helping to build young minds, want to be a positive influence in children's lives and enjoy being part of a great team, then check out the following jobs and join us! To learn more about working with us, contact Kelly Albrecht at (415) 485-3386. Click here to go to the official application. Philosophy We believe that play is the foundation that supports children’s social, emotional, physical and cognitive development. Our Purpose To provide a safe, nurturing environment for your child that offers ample opportunity to explore, create learn and play. Child Care Aides work Monday through Fridays from 2:00-6:00 p.m. These are great part-time positions if you attend school in the mornings. And no weekends necessary! Assist Director and Instructors in planning and implementing activities. Assist in the supervision of children at center and on center outings/trips. Assist in the cleaning and maintenance of equipment and materials. Assist in the preparation and clean-up of snacks. And other related duties as assigned. You’ll need to be able to accept direction from a supervisor, establish and maintain effective relationships and work as scheduled. Please have some experience with school age children, preferably at least 6 months. In this job, under the supervision of the Child Care Director or Head Teacher, you’ll assist in the planning and implementation of daily activities for the school-age program. You’ll assist with all program activities and events, plan and implement curriculum for school age children, lead group activities and perform other duties as assigned. You’ll need knowledge of Early Childhood Development, child guidance methods and developmentally–appropriate practices and curriculum. You’ll also need skills in Curriculum Planning for school-age children and utilization of developmental assessment tools. Please be able to accept direction from a supervisor, establish and maintain effective relationships, read, write and communicate effectively with program participants and fellow staff and work as scheduled. Under the supervision of the Child Care Center Director, you’ll provide developmental care and supervision to children enrolled in the childcare program; implement age appropriate curriculum for children; establish and maintain supportive relationships with children and parents; and other related duties as assigned. Assist in planning and implementing age appropriate curriculum, activities, and events. Provide continuous supervision to children in day-to-day activities; ensures health and safety of children. Maintain childcare center, rooms and play areas in a clean, orderly and safe condition; sets up rooms and areas for various activities such as lunch, naps, games, etc. Monitor behavioral patterns and assists with assessment and child development profiles. Meet with parents as necessary or requested. Perform lead work responsibilities over Child Care Aides. Completion of six (6) units of Early Childhood Education (ECE) courses (core classes). One year working with children in a group setting. 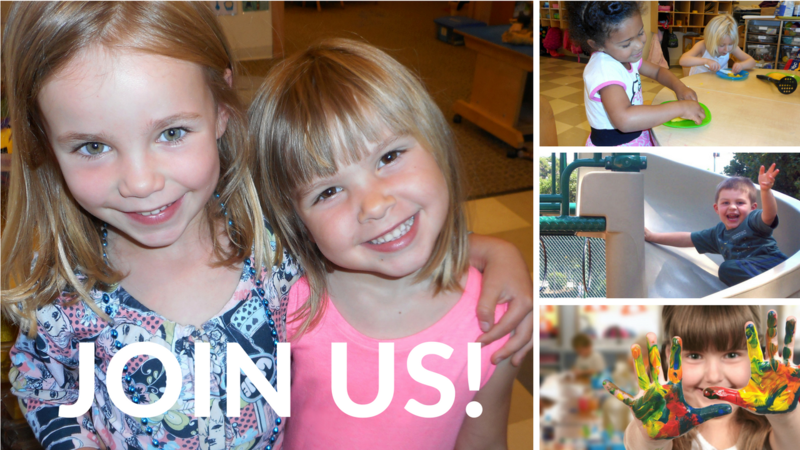 Our Purpose To provide a safe, nurturing environment that offers ample opportunity to explore, create learn and play.